Dee shows how to use the Mockmill and grinds some rice along with hard red wheat. She also shows the fineness of the flour and explains how to make the grains more coarse. After grinding, Dee shows how easy it is to clean the Mockmill. She wraps the video up by giving her final thoughts and explaining whether you should buy the Mockmill grain mill. 03:11 Is the Mockmill worth it? Hi Guys! Welcome to Plant Based Pros. The harvesting season is here and we have been getting a ton of questions about the Mockmill. So I’m here to tell you everything you need to know about it! The Mockmill is about 8″ x 9″ x 15″, it weighs about 13 lbs. The profile of the mockmill is very modern and takes little to no counter space. More people prefer to grind their own flour now a days to stay away from preservatives and chemicals found in the store bought versions. 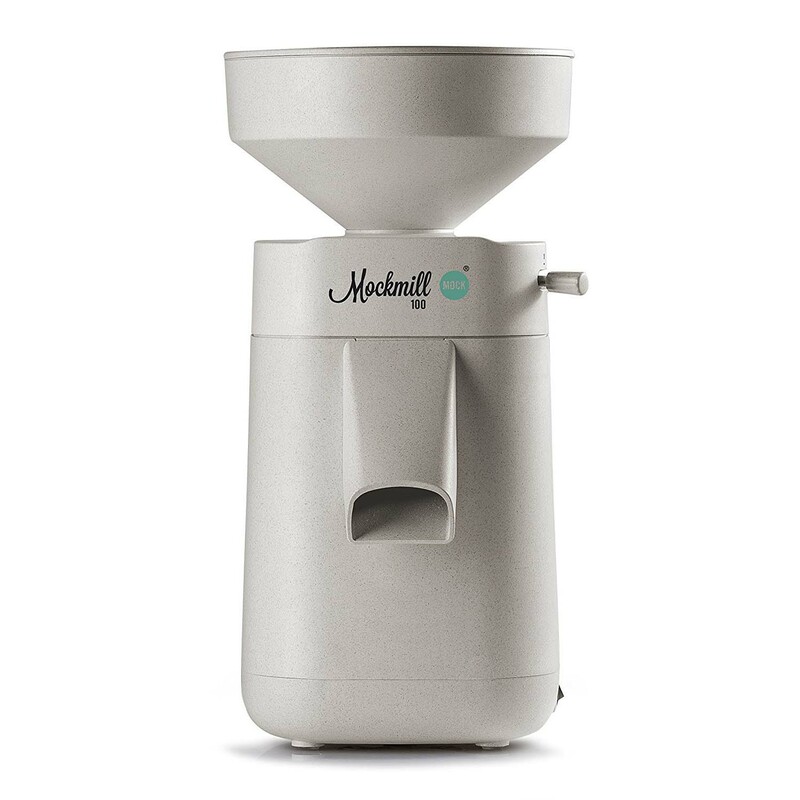 With the Mockmill, you can easily and quickly grind your own legumes, grains and seeds into flour! Everyone wants to know how well the Mockmill will mill flour so we are grinding these items at the finest setting. We are grinding this organic hard red wheat from Royal Lee Organics. This type of wheat is high in dietary fiber, which supports digestion and promotes weight management. Flour from grains is used for all sorts of baked goods. You can make muffins, bread, scones and cookies with it. Most people who use rice flours today are gluten-sensitive and require alternatives to regular grain products. Brown rice is rich in protein and fiber. It Lowers cholesterol and controls blood sugar levels. It has a mild, nutty flavor. Use this versatile gluten free flour as breading, for thickening sauces and gravies, and in gluten free baking recipes like brown rice flour pancakes, muffins and gluten free bread. Another popular gluten free alternative to brown rice are legumes. Legumes are rich in fiber and nutrients, as well as low in fats. However, despite the growing popularity of legumes, few people are able to appreciate the benefits because of the price at the store. With the Mockmill you can save money and also make legume flour easily! You can use legume flour for dips, breads, and to thicken sauces and stews. Chickpeas are the best ingredients for 100% legume breads. See how fine this flour is? Its suitable for all your baking needs. Right now I am using the finest setting possible at #1, but If you want a coarser grind, all you have to do is move the lever to a higher number. An extra coarse grind will give your baked goods a more whole bread texture and nuttier taste. One of the coolest things about the Mock mill is that it does not require deep cleaning after every use. After you are done grinding your flour, simply turn your Mockmill upside down over your counter or sink to remove any remaining grains. It’s that easy! We recommend that you grind no more than five pounds of flour at one time. That makes for about 40 minutes of mixer time, after which you should let your mixer cool down for 45 minutes or so before using it again. When you are ready to get your Mockmill, visit plantbasedpros.com to save. Feel extra good about your purchase because 5% of those proceeds go towards charities focused on ending animal abuse. Till Next Time!